Every summer since 1992, the Summertime Kids program has helped more than 1,000 youth have life-changing summer experiences. Many of these youth are from low income families and underserved communities. All donations benefit recreational, enrichment, and mentoring activities for youth in summer camps that are offered by local nonprofit organizations, neighborhood groups, and other community groups. 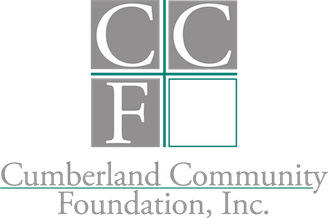 Cumberland Community Foundation selected twenty agencies and nonprofit organizations to provide these programs. At this time, no additional partners are being added. 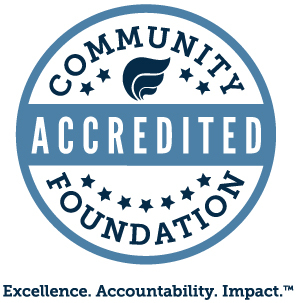 Cumberland Community Foundation currently supports eighteen exceptional programs. Camp Sunshine is a 5-6 week developmental day program for individuals on the autism spectrum from ages 3-21. Our teachers and staff provide academic, functional, social, and life skill- development opportunities through art projects, field trips, small group activities, and educational programs. It is held at an elementary school in Cumberland County and includes visits from other area summer programs and organizations like Cumberland County Libraries and Clark Park. The Boys & Girls Clubs of Cumberland County, Inc. will host summer camps at our Cumberland Road Unit (12 & up) 3475 Cumberland Road, Rochester Unit (5-11 years old) 1018 Rochester Dr. and Spring Lake Recreation Unit (5-18 years old) 245 Ruth St. beginning on May 28, 2019 and ending August 2, 2019. The activities that we have planned for the participants are in the areas of Education & Career Development; Health & Life skills; Character & Leadership Development; Sports, Fitness & Recreation and the Arts. There will be field trips on the weekly basis to skating, bowling, swimming, and the movies. Lunch will be provided. The fee for the camp is $50.00 per week. For more information go to www.ccbgc.org. While serving young people from 6-19 years old, CFRT’s Summer Drama Camps provide an immersive experience into the world of theatre. Through the performing arts, a variety of skills are encouraged and reinforced including: creativity, empathy, communication and collaboration. Children ages 5-13 years old are exposed to nature and outdoor recreation activities such as primitive survival skills, archery, fishing, canoeing, kayaking, hiking, and geocaching. The participants gain a deeper understanding of the natural world while making new friends, building self-confidence, science literacy and enjoying the outdoors. Open to rising 4th and 5th grade students that are selected by the Schools Guidance Counselor. The Camp is run solely by the School Resource Officers with a focus on team building, problem solving and conflict resolution without using violence. Campers also take trips to go skating, fishing, and to museums in the area. In collaboration with the Fayetteville State University Art Education Department, this camp is designed to provide cultural arts exposure activities to young people living in underserved communities, group homes, and home schooled populations. The program incorporates visual arts and crafts, dance, theater, art exhibitions, field trips, social development games and intergenerational mentoring. Instruction provided by professional artists, Cumberland County Schools art educators and college and university visual and performing arts professors. This one-week camp will expose students in grades 8-12 to immersive problem solving in STEM. This camp is intended to expose students to physics, chemistry, math and computer science as an integrated knowledge base. With guidance and supervision from the director, students will design their own experiments to help solve the problems at hand. As part of their investigation into various problems, students will be exposed to tools in math and computer science to help with the problem solutions. Each summer FAF runs its summer camps from June-August for all youth that have excelled and improved behavior since their enrollment in the program. These camps are about exposing the youth to educational, personal enrichment, and diversification experiences and activities. The FAF staff and volunteers take youth on trips to the Asheboro, NC Zoo, Ft. Fisher Aquarium of Wilmington, NC, Exploris Museum of Raleigh, NC, Emerald Point of Greensboro, NC and the Planetarium, to name a few. Other activities include swimming, ice and roller skating, rock climbing, fishing, clay molding, cooking and visiting theatres, museums and historical sites. 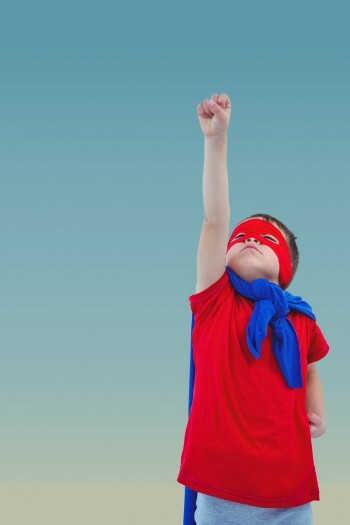 Youth also participate in daily team building, character development, and intellectual stimulation exercises. The biggest and most traditional incentive for the FAF program is the annual Myrtle Beach trip. All youth that qualify for this trip show marked improvement in their academic record and behavior during their tenure in the program. This fun filled summer camp teaches the basics of film making and teaches campers how to use the power of film to create social change. Creating films and digital media gives the campers the chance to take on various rolls both in front of and behind the camera. Campers use professional gear and are taught by filmmakers in small groups. They learn story boarding, scripting, studio and location production editing AND on-camera methods. Most importantly they learn the value of teamwork while having fun. Is a free open to the public 4 week experience for elementary grade children in the Cumberland County School Districts. We strive to maintain our children’s learning experiences as they continue to grow in knowledge throughout the summer. AZSRC+ puts emphasis on reading, character & life skill as well as STEM development. The fun aspect of summer is provided with enrichment classes while awakening their creative side with arts and crafts. They will have plenty of opportunity for physical activity. Our ultimate goal is to build self-esteem and confidence while exploring activities in our community. Breakfast and lunch are served to the children daily. This week-long history camp for children aged 9-12 years engages them in life-enriching activities that teach about the past and its influence on the present. The theme for 2019 is “Mysteries of NC’s Historic Sites.” Become a history detective and uncover the mysteries of NC’s historic sites. Focusing on the lesser known events, stories and places in NC history. The camp features guest historians, archaeologists, hands on investigations, and a field trip. Small group dynamic camping model allows for each camper to experience a variety of outdoor living activities and environmental education while building a positive relationship with other campers and staff. Participants are able to take part in daily devotion, recreational activities, arts and crafts and local field trips. Campers are given the opportunity to improve social skills. Campers are in a safe environment where they will be supervised by trained and educated individuals to provide an enjoyable and encouraging Christian setting for all. Our program is for rising 1st-8th grades. Campers are fed lunch and snack daily. Summer Day Camp will run Monday-Friday from 7:45am-6:00pm. St. Ann Neighborhood Youth Center – The Arts Inspire Us! The Day Camp provides educational, artistic and recreational activities for children in grades 2-5 and teen volunteers. In addition to participating in some traditional camp experiences and field trips, children will be participating in a variety of art experiences such as creating art, appreciating music and singing songs. Students participating are primarily from the downtown area public schools and have participated in the tutoring program at St. Ann during the school year. For the last 11 years, 6 – 8 slots have been open for deaf and hard of hearing elementary age students. Volunteer interpreters for the deaf will be on site and all campers will learn some basic sign language during their time at camp. Out of Sight Summer Camp Explosion, summer camp for blind and visually impaired children that will host a variety of activities to enhance social and independent living skills. Cape Fear Botanical Garden's summer camps provide the opportunity for children ages 6 to 10 years old to uncover the wonders of the natural world through exploration, games and crafts. The four Nature Nuts camps include Nature Superheroes, Garden Magic, Nature Detectives, and Art in the Garden. All of Cape Fear Botanical Garden's camps involve a variety of fun and educational activities in the Garden. The Cumberland County Public Library & Information Center runs summer reading programs for all ages! The 2019 summer reading program theme, "A Universe of Stories" serves children from birth through fifth grade and teens in grades 6 through 12. Children record every twenty minutes of reading time and receive prizes, including a free book, at various intervals of reading. Children also have the opportunity to participate in interactive literature-based programs, create projects, and explore Science, Technology, Engineering, Arts, and Mathematics (STEAM) at each of eight locations. Teens may also participate in interactive programs and receive prizes for their reading this summer, including a free book. Participate in galactic adventures with your library this summer!